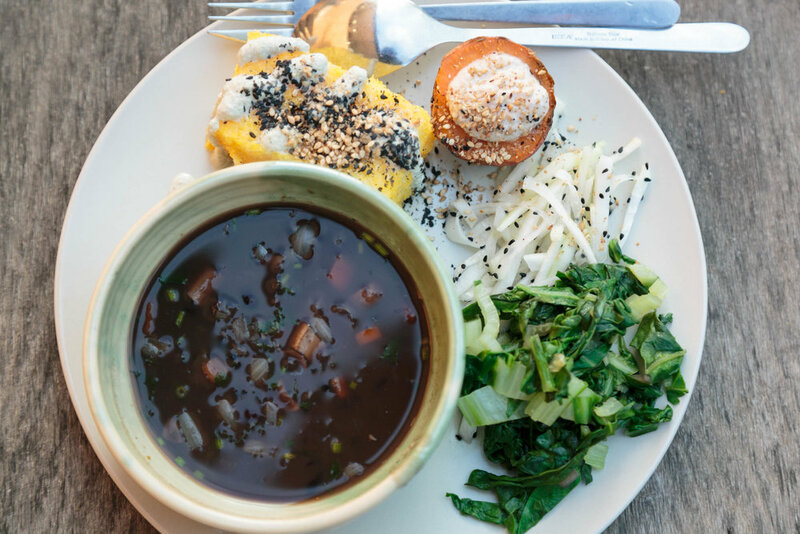 The Culinary Healing Arts Initiative (CHAI) offers fifteen English speaking trainee chefs the opportunity to study with ginat rice, certified senior macrobiotic counselor, and to apprentice alongside Chef Grosset, learning hands on from the master. First, broaden your knowledge with Whole Health Forum Director Ginat Rice for 8 months with live online classes in vegan whole food theory & cooking for naturally balanced health. Join Chef Patrick on alternate fortnights for live cooking classes as he brings his magic into your home. Prepare yourself for a major kitchen skills upgrade! Then at the Whole Health Forum from May 26-31, join Ginat for a summation of the theory aspects, and Chef Grosset as he mentors a hands-on experience in the kitchen on a daily basis at the Whole Health Forum. Under their able leadership you will learn natural food preparation, menu planning, meal balancing, food selection, medicinal preparations and secrets of healthy, delicious meals. Macrobiotic Chef & Educator, Professional French Chef, Certified Natural Health Practitioner, Co-Founder of 7th Element Services of Los Angeles, CA. Teaching simple and delicious recipes hands on, Patrick provides the tricks for busy people to manage a natural foods kitchen in the real world. Kushi Institute Certified Top Level Macrobiotic Counselor & Educator, Co-Founder of the Rice House, Zichron Yaakov, Israel. Ginat presents a dynamic understanding of balanced living, clarifying the laws of nature within the order of the universe. "As you learn natural order and begin to consciously utilize intuitive understanding, you will master your personal health and control the outcomes of your life experience." Beginning on October 2, 2018, Patrick and Ginat will alternate teaching every two weeks in an on-line format available both live and on demand. Ginat will present a comprehensive understanding of yin and yang, the five transformations and order of the universe - the keys to unlock universal mysteries! Patrick will present online cooking lessons, challenging you to replicate his kitchen magic in your own home. Recipes and reading materials will be provided. 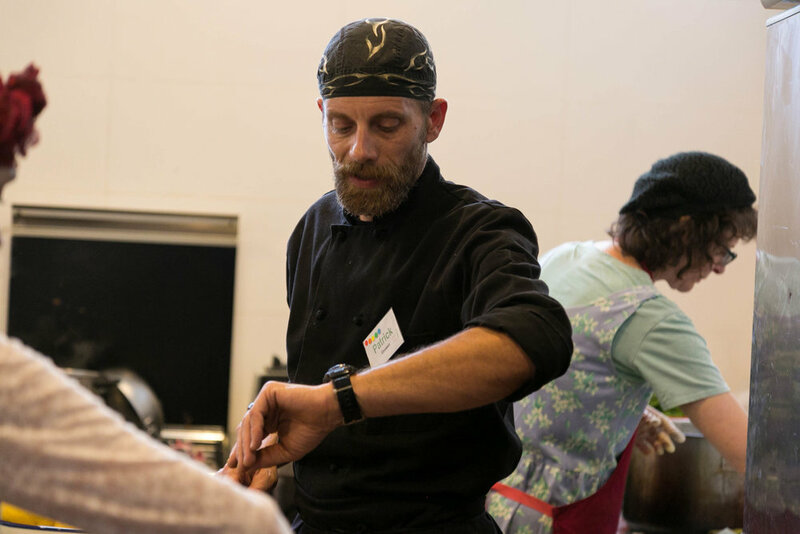 Teams of specifically chosen participants will work alongside Chef Grosset in fast-paced training blocks throughout the five and a half days of the Whole Health Forum, Sunday to Friday morning, May 26-31. 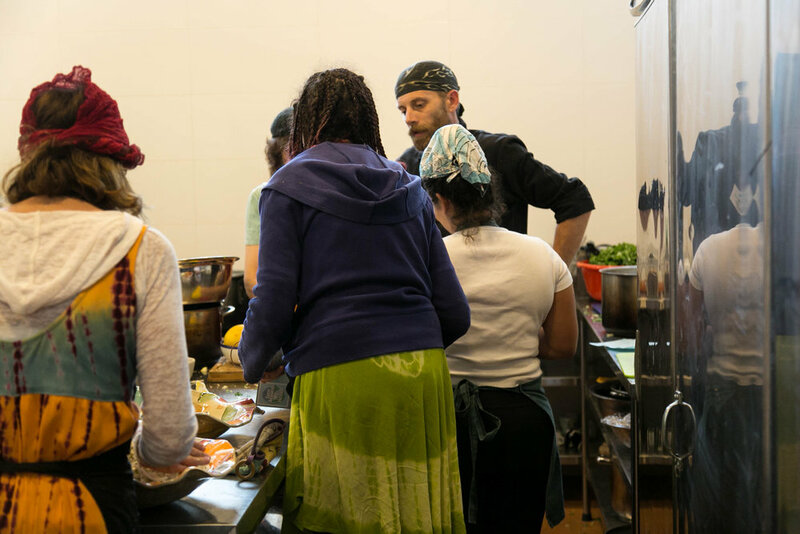 The program culminates at WHF IV with the Cook Apprentice Program, your hands-on mentored kitchen experience, and daily classes on the five transformation taught by Ginat. Pre-Forum reading assignments and online learning. Medicinal cooking for the season, climate, culture and personal needs, use of salt, oil and sweeteners. Ongoing personal assessments of health for corresponding medicinal cooking. Kitchen skills including knife handling, cutting techniques, ingredients, utensils, menu planning, kitchen management and cost control. Hands-on cooking assignments for healthy & delicious food suitable for daily cooking, holiday fare and specific conditions of health. 15 Kitchen Apprentices will be in the kitchen daily for 4 or 6 hour shifts, assisting with food prep, cleaning, shopping, and front end management. Minimum participation is four days, with priority given to longer stays. Friday morning work finishes by 10 a.m.
We welcome requests to be assigned to work shifts together with friends or acquaintances. All Forum programs and classes are included and available to you whenever you are not on kitchen duty. Overnight accommodation in a group setting on floor mattresses is provided without charge; Bring your own bedding and towels. Optional upgrade to shared cabins is available. The Whole Health Forum is happy to organize country wide tours with licensed international tour guides for a length of time you request. This can be either before and/or after the Forum takes place from May 6-10th. Insurance is not included in the program fees. You may choose to take out personal insurance for the time that you will be in Israel.